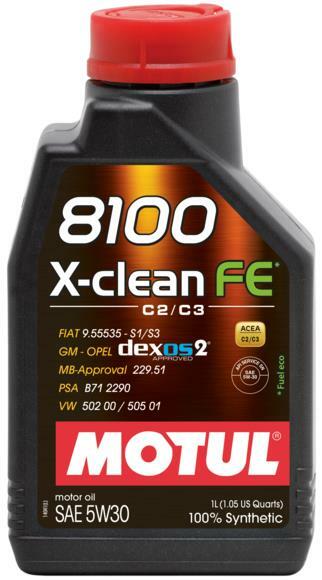 Motul Motor Oil - 8100 X-clean FE 5W-30 UNIVERSAL - Lesher Motorsports, Inc.
100% Synthetic lubricant – Mid-SAPS – ACEA C2 & C3 – specially designed to bring Fuel Economy (FE) and maximum protection. Suitable for the latest generations of Gasoline and Diesel engines EURO 4, EURO 5 and EURO 6. Compatible with catalytic converters and Diesel Particulate Filters (DPF). Approved GM-OPEL dexos2.